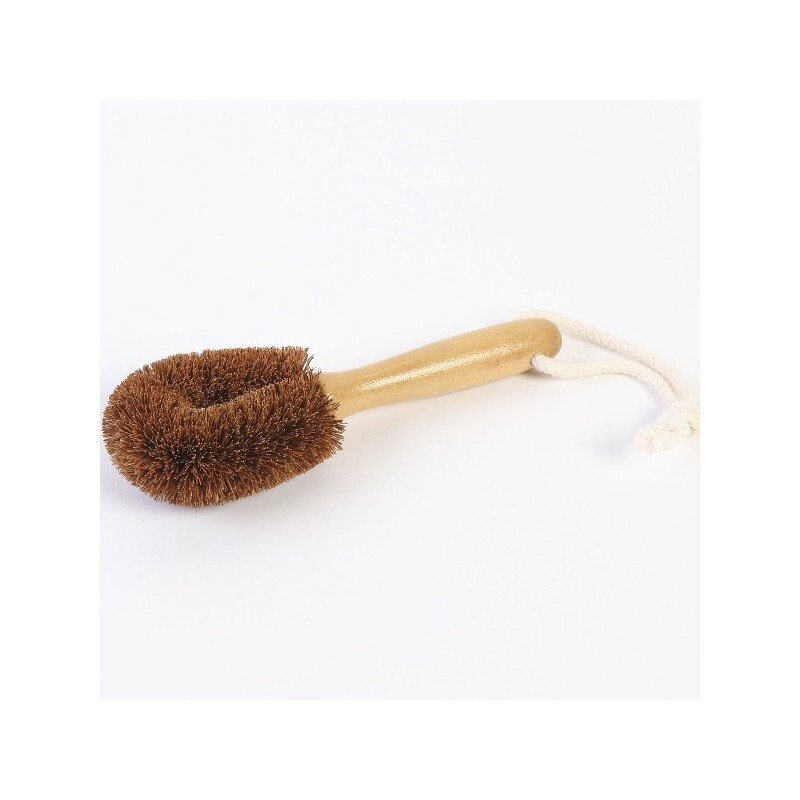 This 100% coconut fibre vegie brush is ethically handmade in Sri Lanka using biodegradable, environmentally-friendly and natural fibres. Coconut fibre is naturally anti-bacterial. Great for scrubbing veggies. Short handle is easy to hold, but sometimes I just hold the brush part if I want a bit more control or pressure. The lacquered handle helps protect the handle (in comparison to my Redecker dish brush that gets a dark wet spot no matter how well I try to drain it). 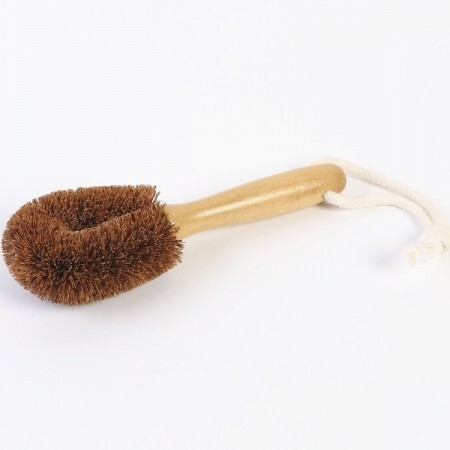 Brush lasts so much better than synthetic alternatives that flatten over time and it just feels better to avoid synthetics wherever possible.